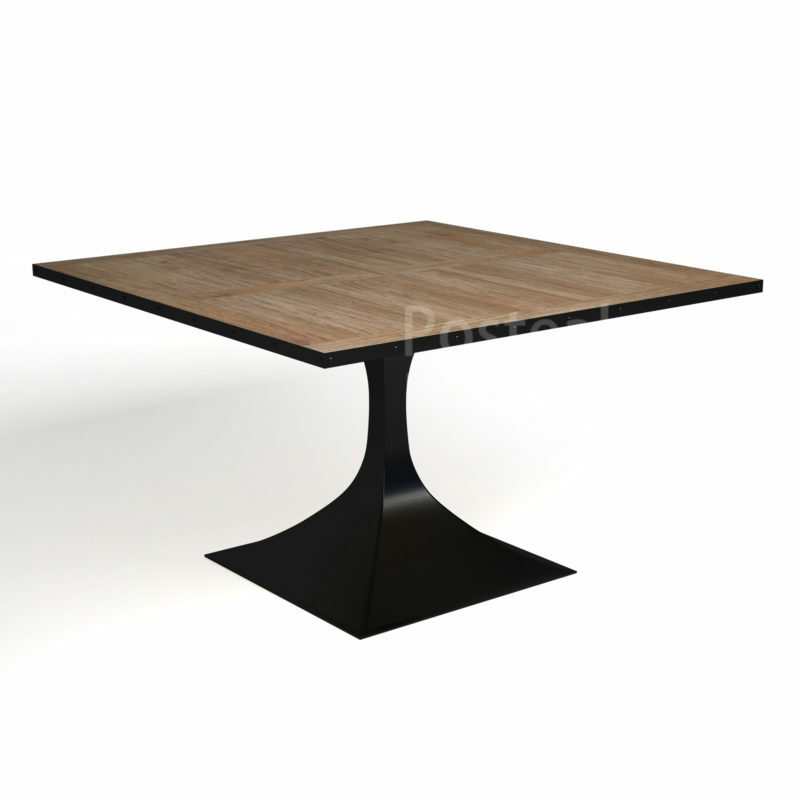 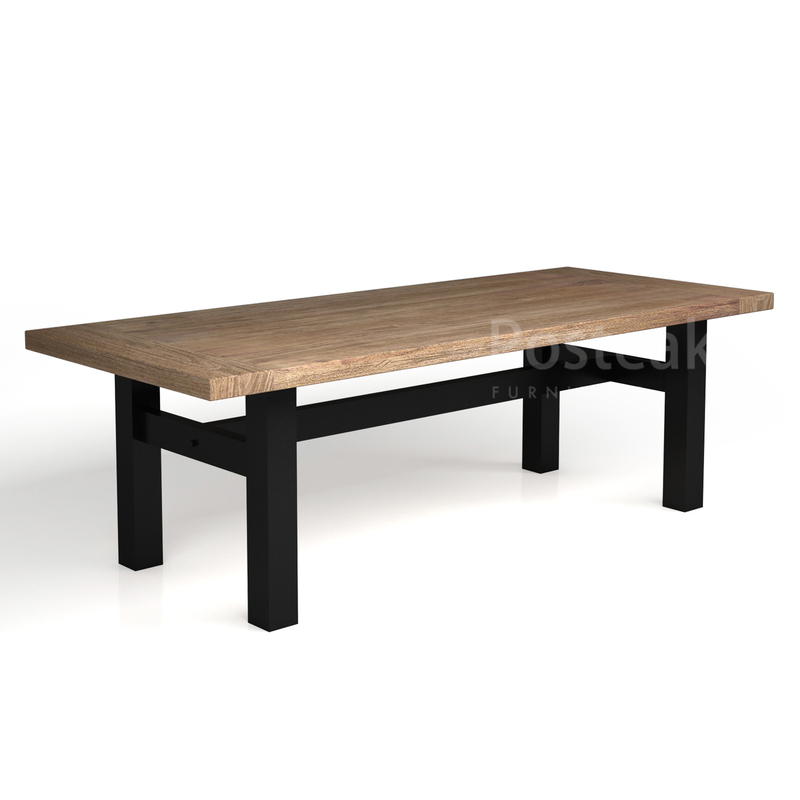 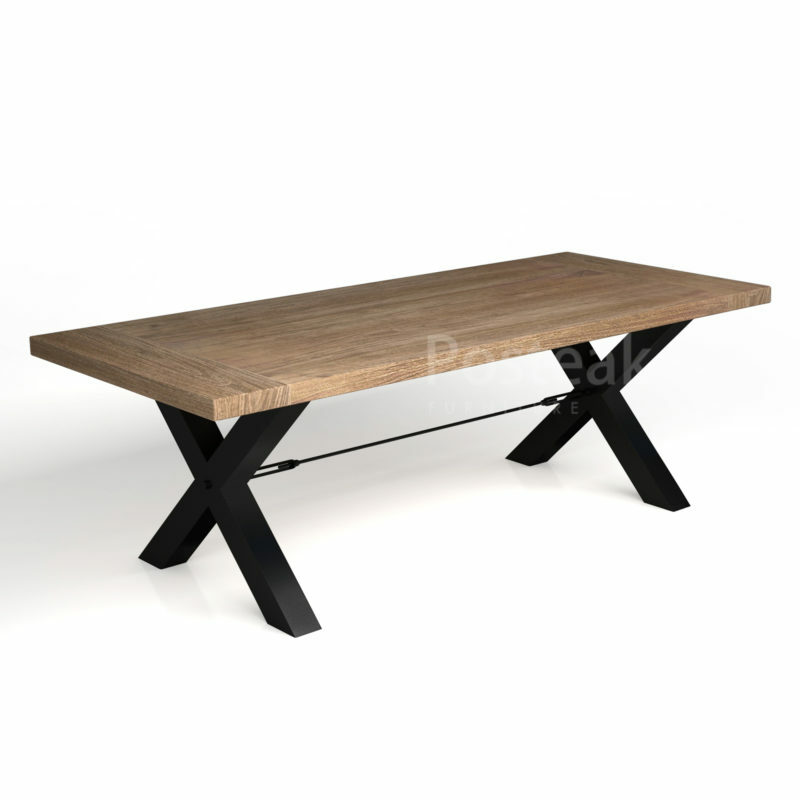 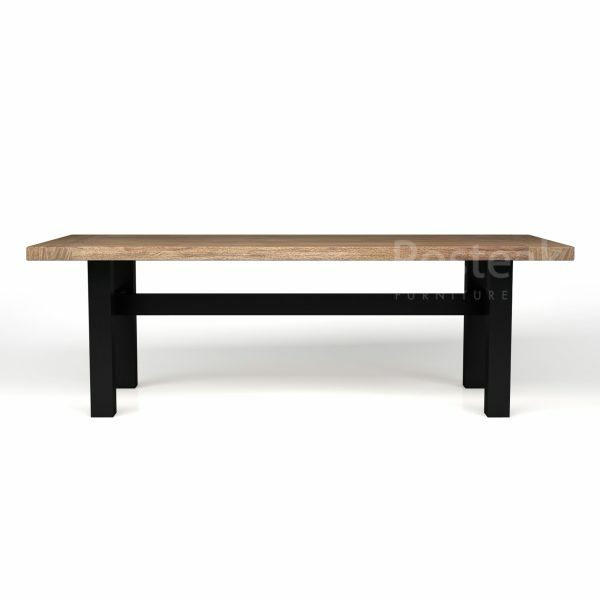 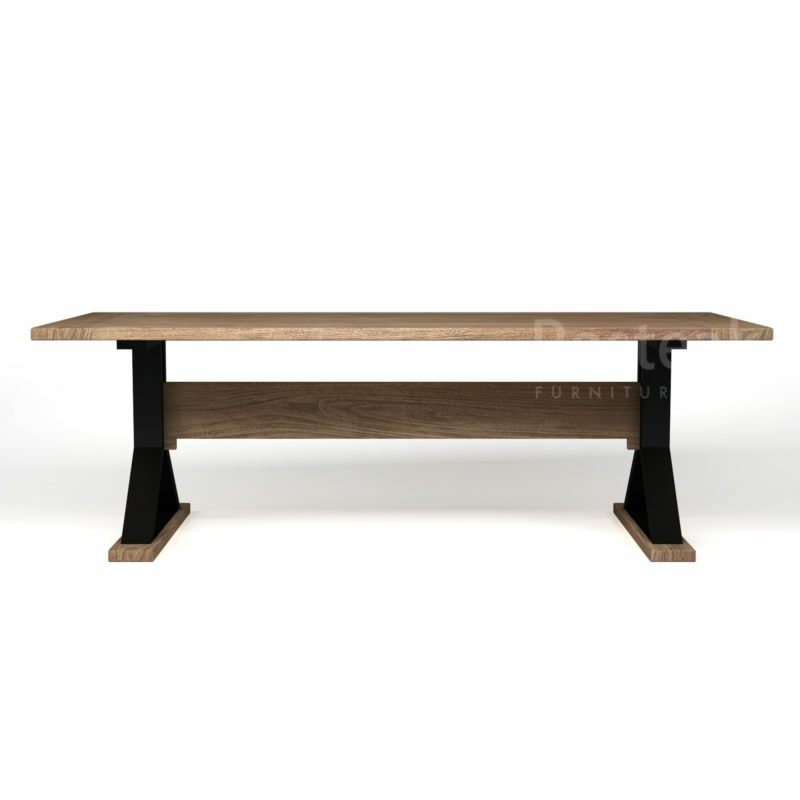 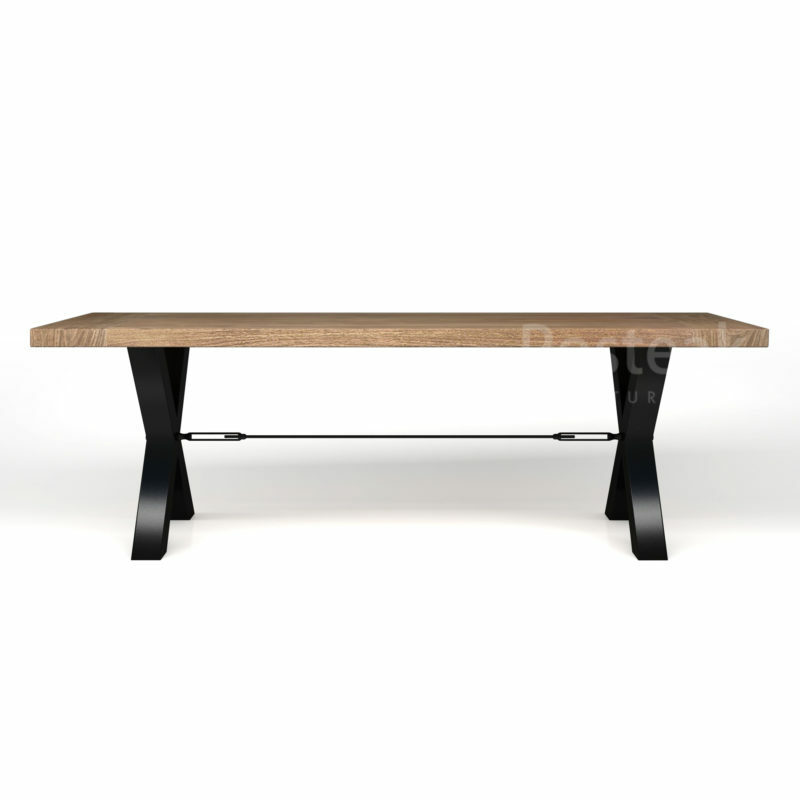 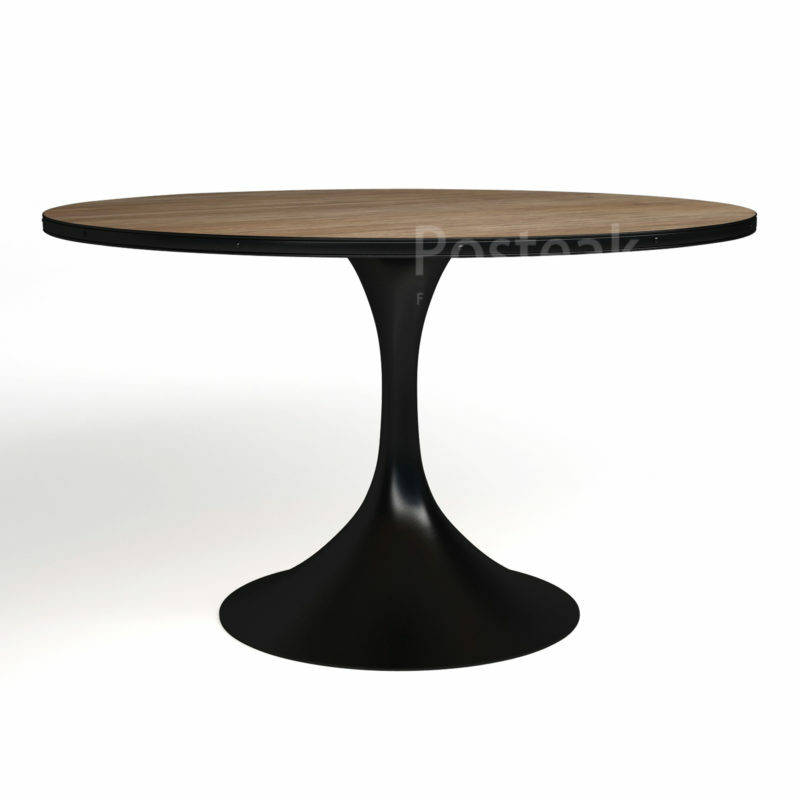 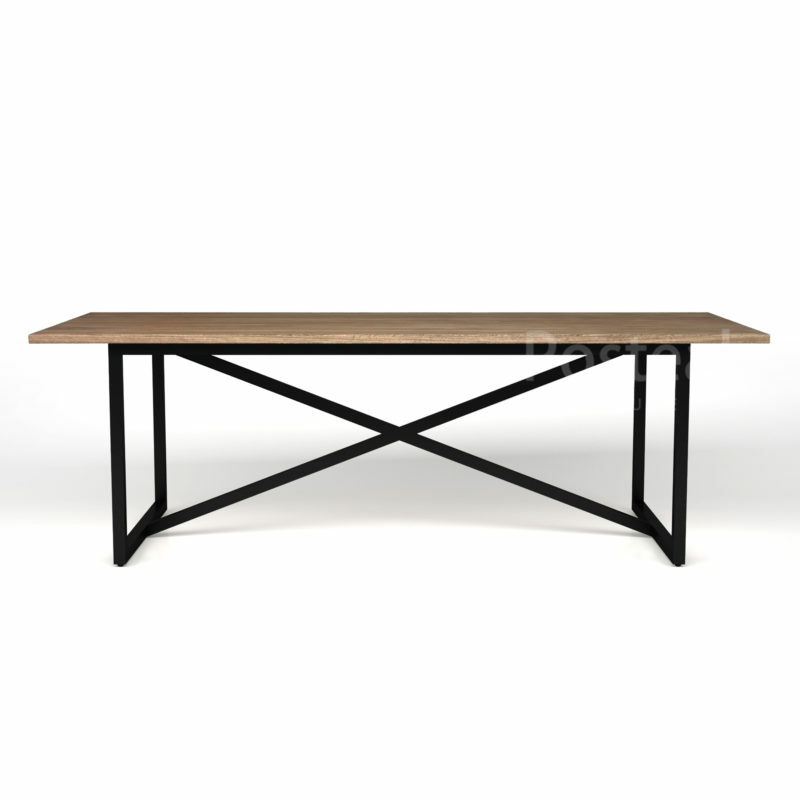 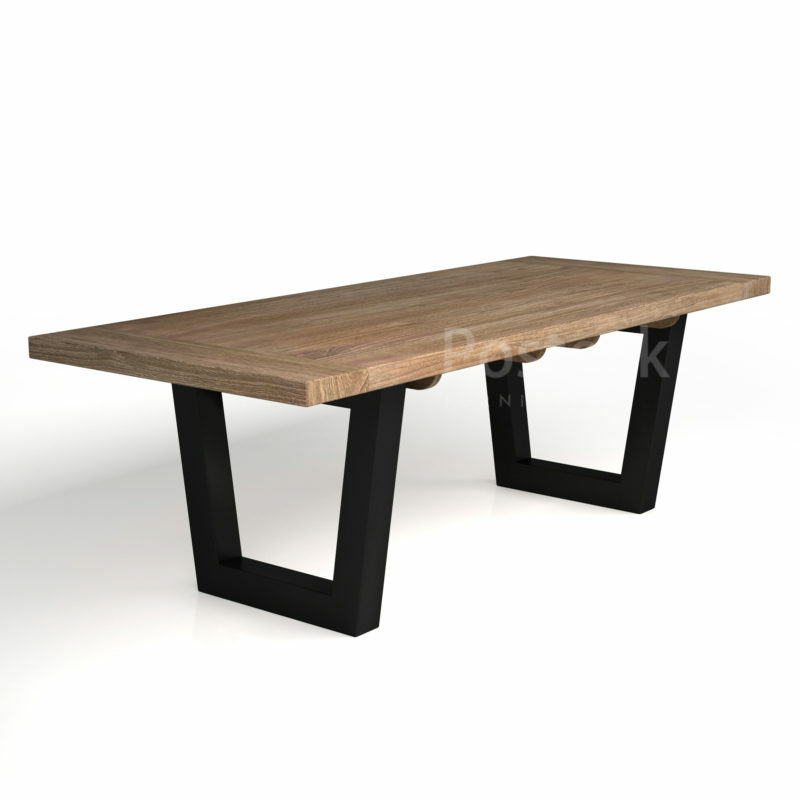 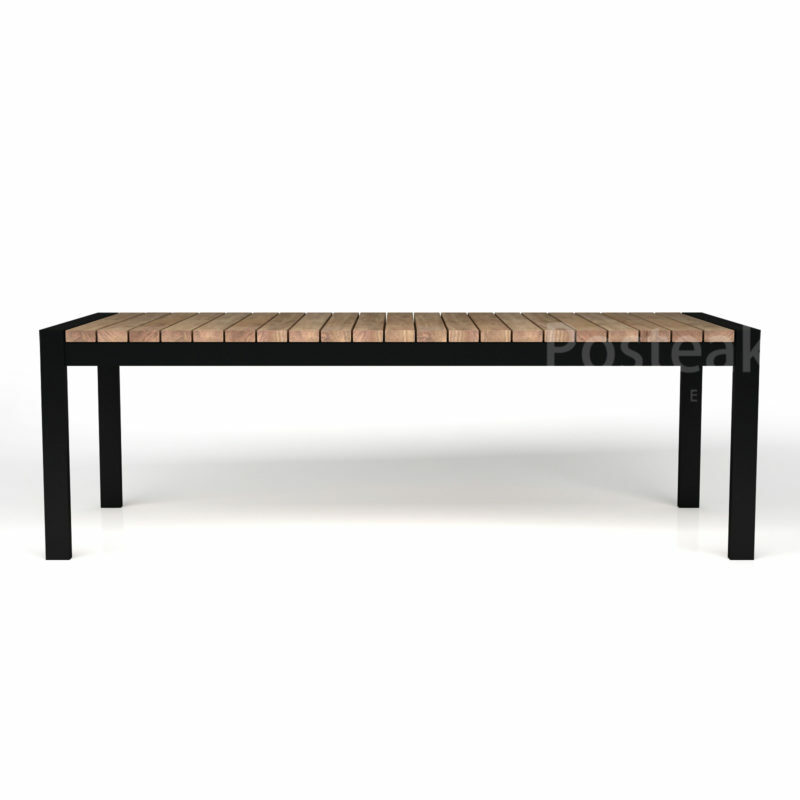 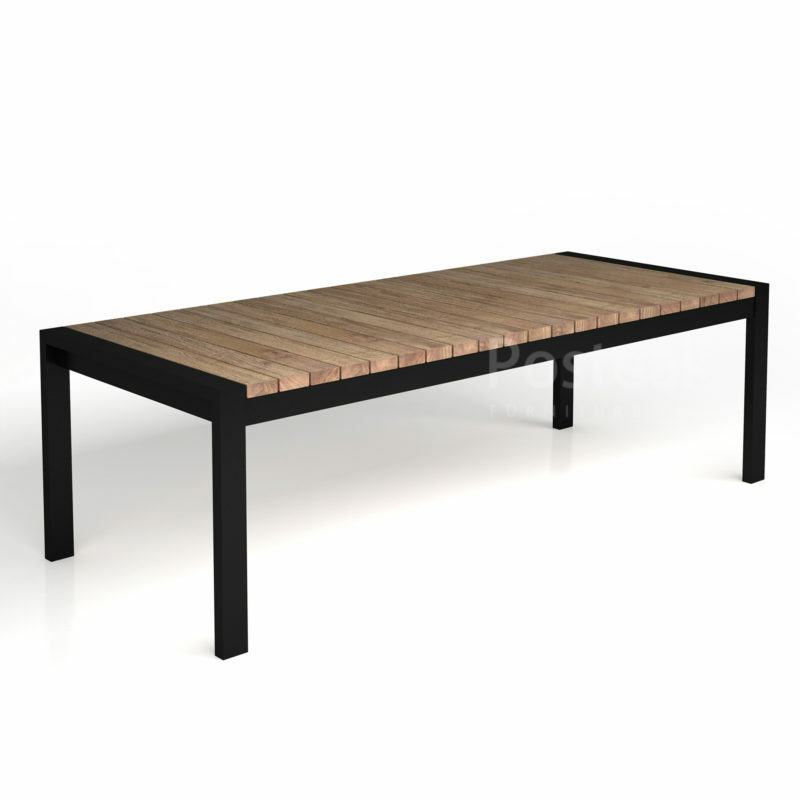 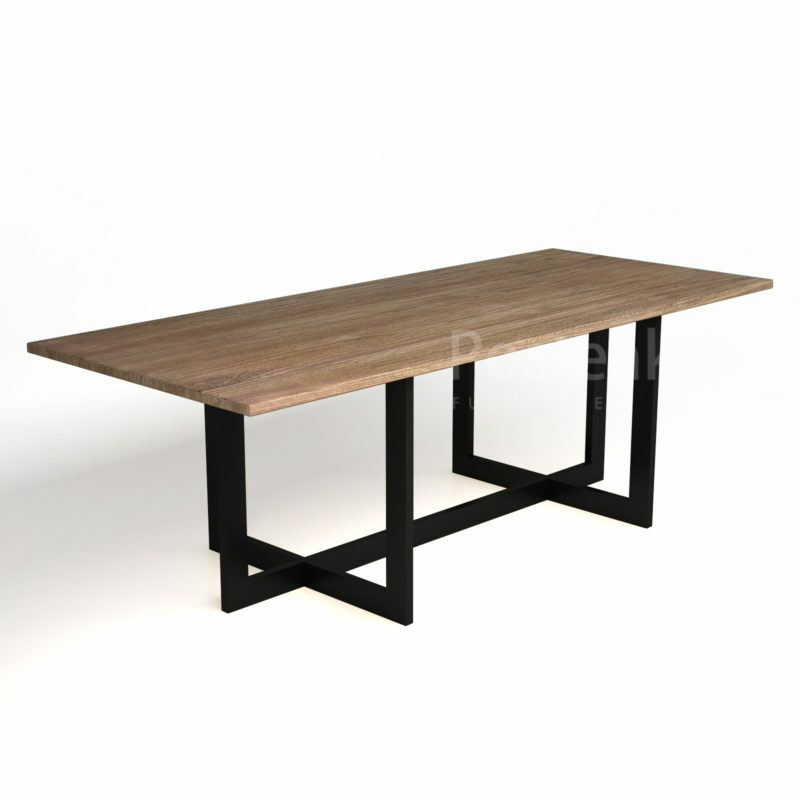 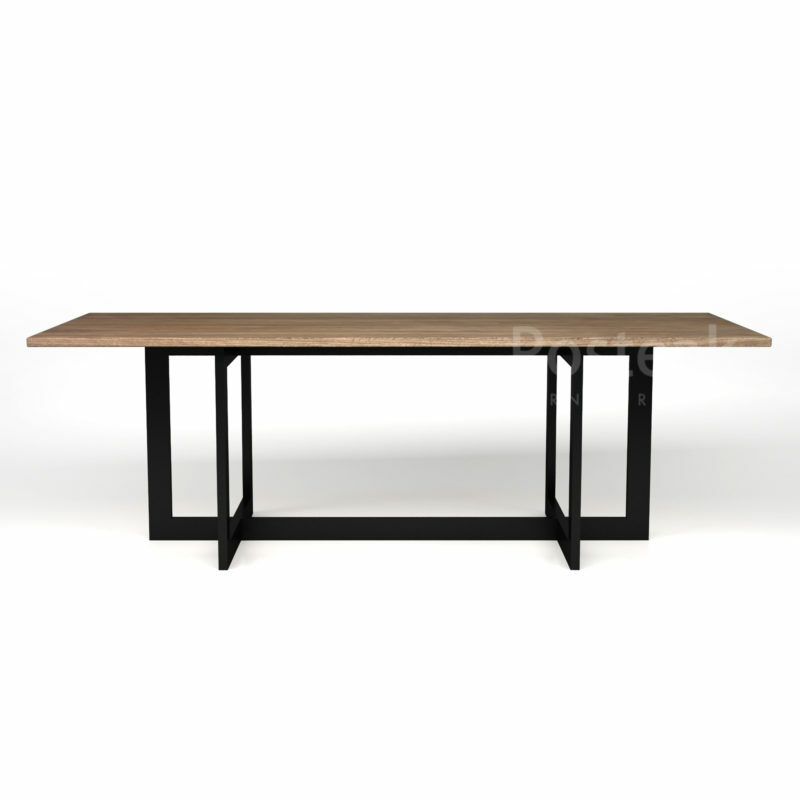 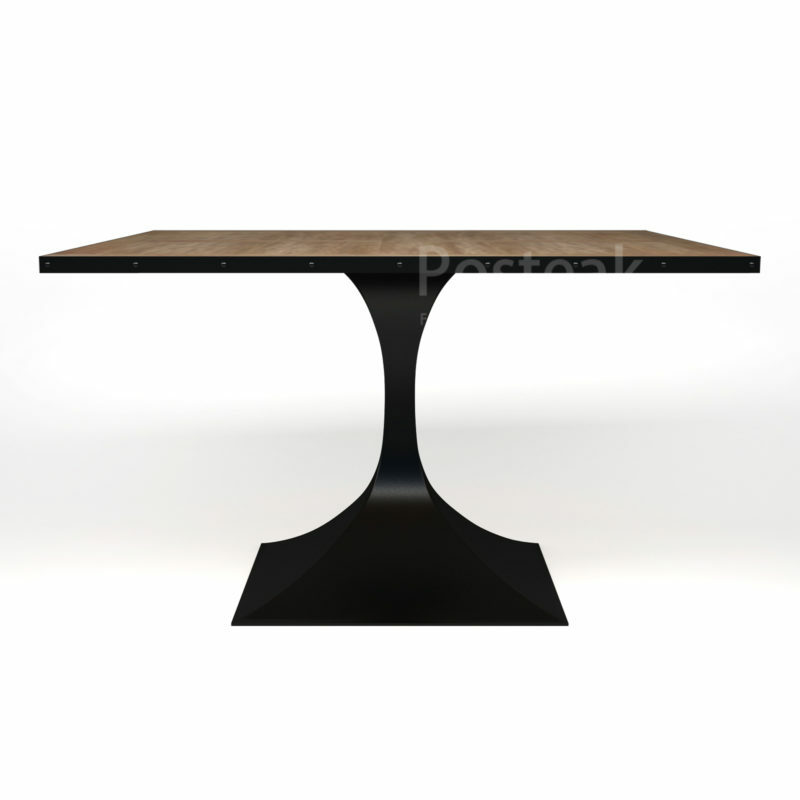 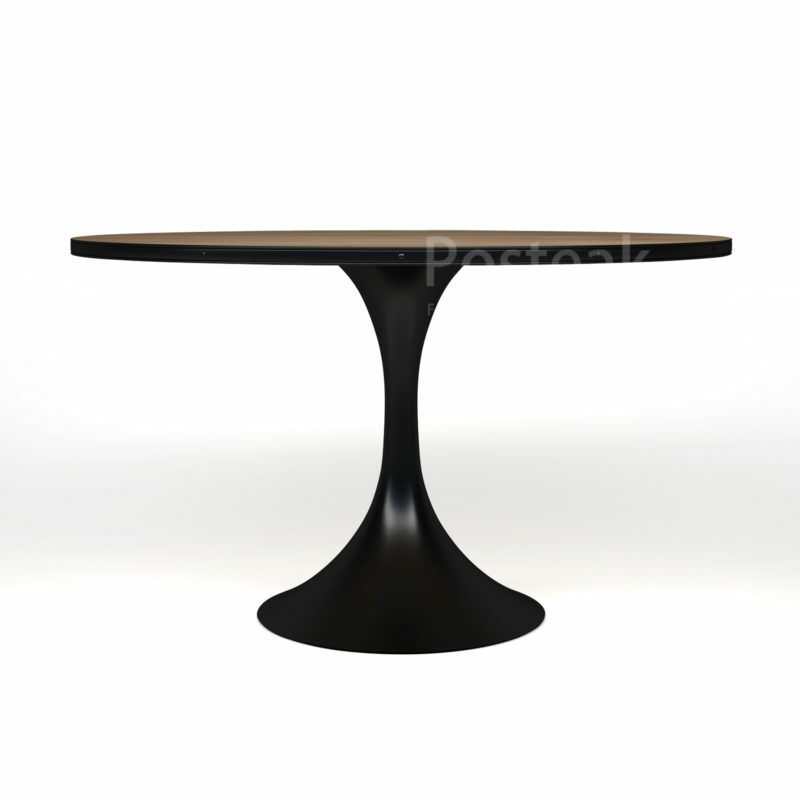 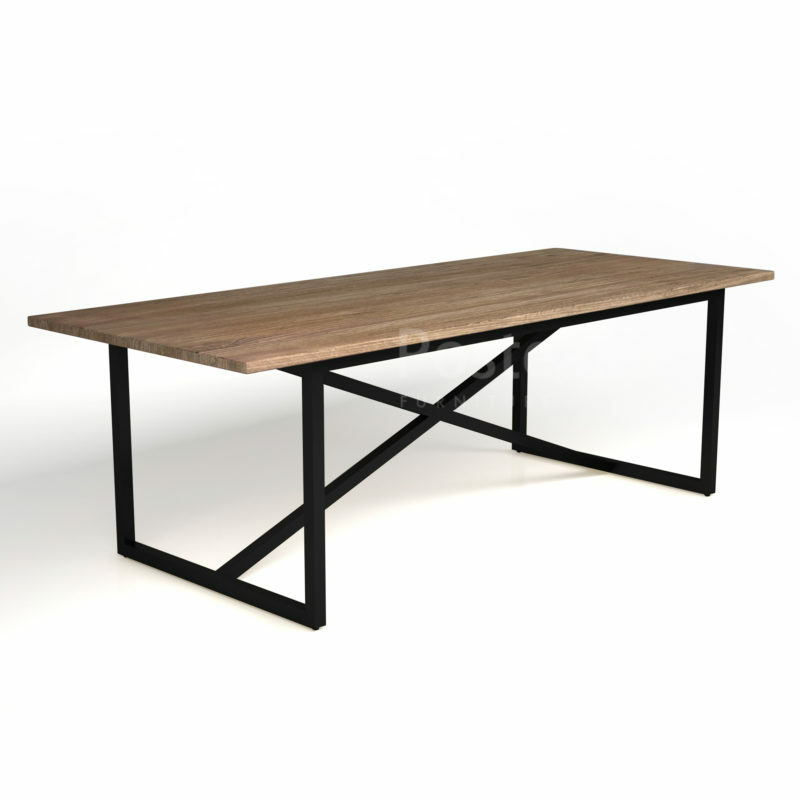 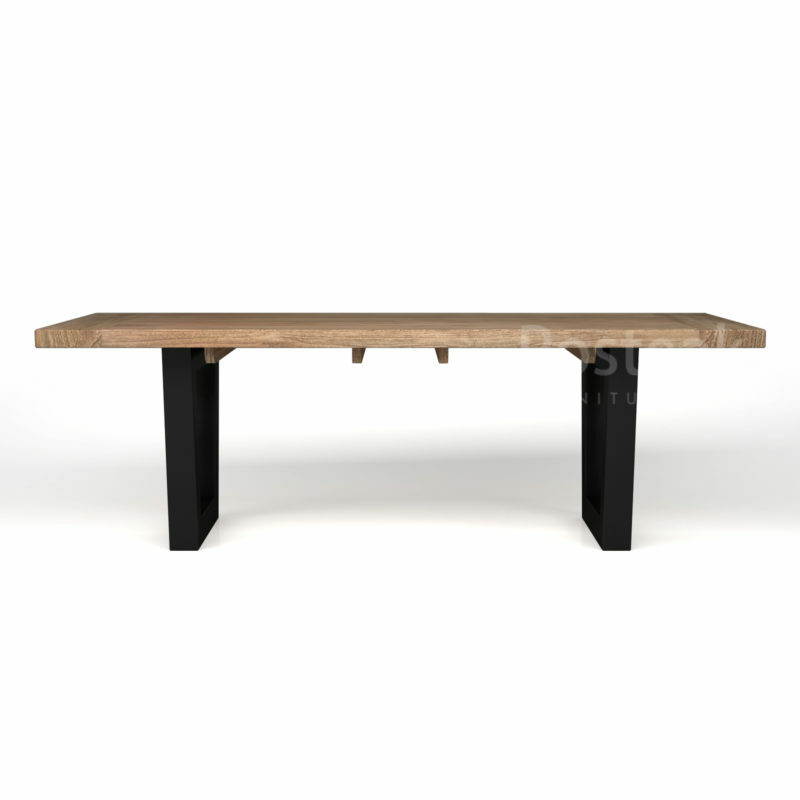 Dining Table crafted from solid teak wood, combined with “H” design of metal on legs. 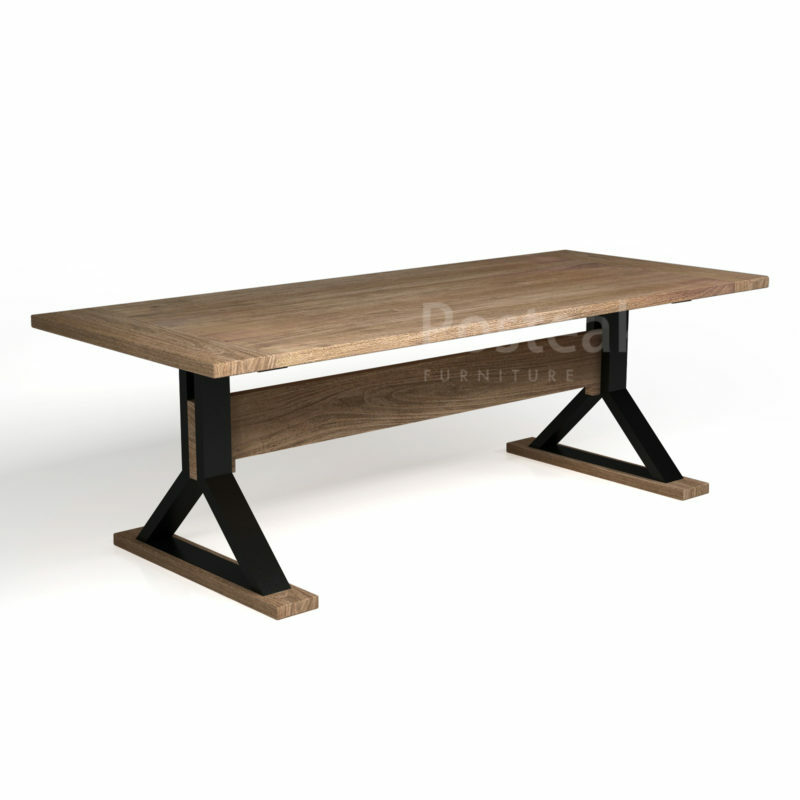 The design emphasizes the industrial model. 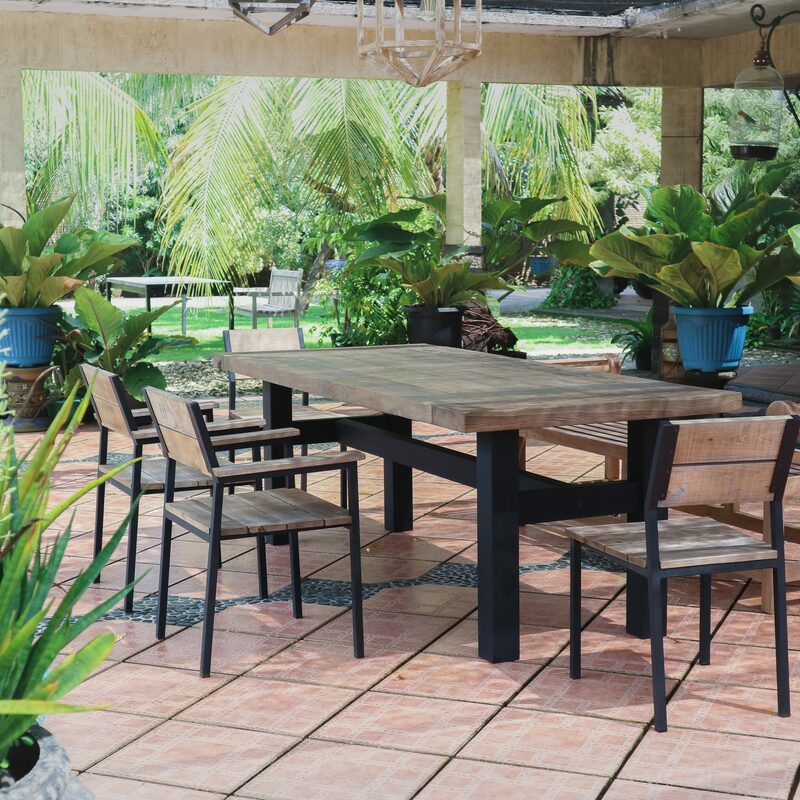 Suitable for indoor or outdoor style.